I originally wrote this post for the Day of Digital Humanities 2014 blogging project. I have reposted it here with only minor changes to fit my blog’s formatting, but you can read the original post here. 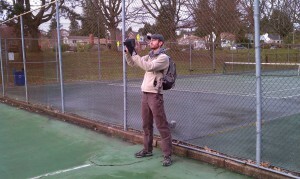 I tested MementoDB at a local park prior to using it on the monitoring project. I have a new baby at home and am his primary caregiver while my wife is at work (she’s a cultural anthropologist and does qualitative research on usability and user experience for a local game company), so my Day of Digital Humanities started early this morning at 3am and ended by about 7:30am when my wife and son woke up!